Hit Entertainment has confirmed that change to the animation will be on it's way for Thomas & Friends starting from the Seventeenth Series. Arc Productions have been announced by Hit Entertainment to provide the CGI for new adventures sometime in 2013. The press release notabally reads the following; Toronto-based Arc will provide animation for all 11-minute episodes of the upcoming seventeenth series, as well as a one-hour Thomas & Friends feature-length special. The SiF Blog has confirmed that the new Season Sixteen and Blue Mountain Mystery film will be Nitrogen Studios' last contribution to the series since taking over visual reigns in 2009.
kidscreen have reassured fans by noting in their article that Arc will maintain the same CG-look to the series which was initially unveiled in 2010. The change in the animation department is due to reflect the Andrew Brenner era for the show. SiF have since revealed that Rob Silvestri and Kallan Kagan will replace Greg Tiernan and Nicole Stinn. 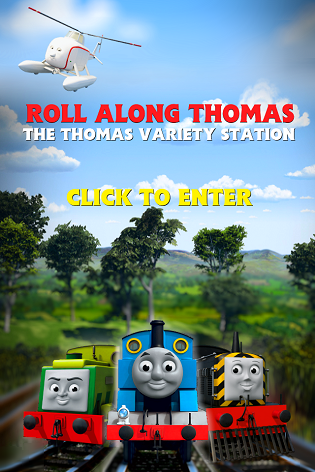 Season Seventeen of Thomas & Friends premieres worldwide in the fall of 2013. Are you upset or satisfied over Arc taking over from Nitrogen?, do you think this will affect the show in a good way or a bad way?, or do you think this wasn't needed at all? Send a comment below to give out your verdicts and reactions. So will begin the fourth period of Thomas' television history. Or it may just be a second sub-era for the CGI era. Shame. Nitrogen do a splendid job (I hope they're still involved). I hope its part of a series revamp (but I doubt it). Ah well, if Nitrogen's animators aren't involved well they've done a great job. I'm looking forward to see the changes. I just Greg Tirenan directs the show still. I really do not think that there should be a change in department. The CGI series is happier at Nitrogen Studios than anywhere else. I just really hope that Greg Tiernan will still be directing and that the animation will be preciecely the same otherwise the series will go "whoooosh" down the plughole for good. P.S I'm not one for change. How do you know it's happier only at Nitrogen? Yes, their animation is stunning, and yes I'll miss it, but Arc should be given a chance! Remember what happened when fans criticised the CGI change in the first place? Oh great, another change. Wait, does it day 11 minute episodes? We go from, 5 min, to 8 min, to 11 min? Too long! I believe that with opening titles, roll call, and credits, the episodes are already around 11mins. NOOOOOOOOOOOOOOOOOOO! I'VE JUST FOUND OUT THAT GREG TIERNAN WILL BE REPLACED IN TERMS OF DIRECTING BY A PERSON CALLED ROB SILVESTRI AND NICOLE STINN WILL BE REPLACED IN TERMS OF PRODUCER BY A PERSON CALLED KALLAN KAGAN!!!!!! THIS IS NOT GOOD! IT'S TOO MUCH CHANGE FOR ME TO HANDLE! ...of course they'll change. You didn't expect them to just quit a company they built from the ground up, did you? Seriously, get a grip. How do you know things what it's going to be like when you're not even trying to give Arc a chance?! Sorry. I just was freaked out and afraid that this was going to be another HIT Entertainment critism thing. It's because I care about the show's future (don't we all?). Maybe I care a little TOO much. Please warn me if I start acting like a n00b (is that how you spell it?). I'll try and get a grip next time. I'm mostly bummed about the Tiernans leaving! :( I don't think a change was necessary, but who knows! Maybe Arc will do better! ROB SILVESTRI will be directing the big movie in 2014 too so I could see a positive change coming! Yes Nitrogen did an amazing job but I'm kind of excited! Bring on the next version! I'm very happy to give Arc a chance, and if Nitrogen's renders are being sent over, there might not be mucg different. This is a change for a children's show, yet many people are acting like it's the end of the world! I read the announcement on SiF this morning - I was devastated - but, as ThomasPercyandToby has said, we haven't seen what Arc has to offer yet. I remember when the original press release about the CGI switchover was released, it said that 80 new episodes would be made. This has indeed come to pass with Nitrogen - Seasons 13-16 were commissioned together. If Arc gets to use Nitrogen's rendition of Sodor and it's inhabitants, it can't be all bad. To be fair, I've always felt that the faces of the cgi era didn't quite get the faces right in terms of matching their model counterparts (although the other parts of the engines were spot on). This could perhaps improve the accuracy of the faces though I'll not be ranting if they don't. Personally Im just going to enjoy nitrogen's last season and special and then look forward to the changes coming in season 17. To be honest mate, I don't think the faces will change much, since Arc will be using the render files that Nitrogen created (until new characters are rendered). I think that Arc Studios will do a Great job ! Nitrogen did a Wonderful job too ! I think we should let a chance to Arc Studios to do The Animation ;) Don't we ? From what I had seen in the news about Thomas moving from one animation department to another last night, and when I realised that they're the team that behind "9" and "Gnomeo and Juliet" (Which I had went to see last year). Having seen "Gnomeo and Juliet", the animation style looks fantastic, and so is the way a Shakespeare's story had been adapted into a film with garden gnomes and stuff (But at the scene where there's a statue of Shakespeare himself... I had no comment on it, just to be honest. :P). So final verdict, as we know that ever since 2009 when Nitrogen Studios' contract with HiT Entertainment to produce 80 episodes which has finally comes to an end after Series 16 was wrapped (And Blue Mountain Mystery). And overall, all we need now is to give ARC Productions a fair chance to make the whole series look fantastic in CGI besides the CG-series' preceders did (Especially from the start of the seventeenth series onwards). All I would say now is - Good luck Rob Silvertri and Kallan Kagan! It's a shame that Nitrogen Studios are no longer making the CGI next year, especially since Greg Tiernan has passion for the series. His directing was starting to get as good as David Mitton's, but I'm going to give Arc Productions and Rob Silvertri a chance.